As the Chair of the Special Interest Speaker Series, Mimi is planning a diverse portfolio of relevant topics, including innovation in cancer research and precision medicine, importance of blockchain for industries, redefining global online consumerism, and much more to come. So stay tuned! Likewise, in her spare time, helping to discover the cure for cancer lies very close to her heart. Thus, Mimi has been very committed to raising awareness and helping doctors and medical researchers at the Penn Abramson Cancer Center advance their challenging yet impactful work - with the mantra of, "curing cancer within our generation." 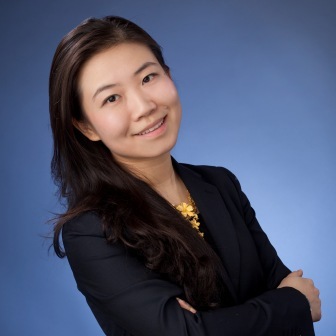 Aside from her volunteer commitments, Mimi works in IBM Global Business Services (GBS) within the Financial Services Sector, aligned to the Banking & Capital Markets Practice. Since her joining, she has played key roles at major financial services institutions, ranging from digital banking strategy to front and back-office process transformation. In recognition of her accomplishments, Mimi has received multiple IBM awards for her innovative work and client delivery excellence. In addition, she is heavily involved in assisting IBM senior leadership with go-to-market initiatives and thought leadership work. Given her growing industry and technical expertise, she cites the following as the foundation for creating a truly differentiated experience in this cognitive era, "Any great product or service should start and end with the thinking of, how will this empower my target client? Creating a customized experience with technology should not be the end in itself, but should be the means by which we create an empowered experience for the end user.